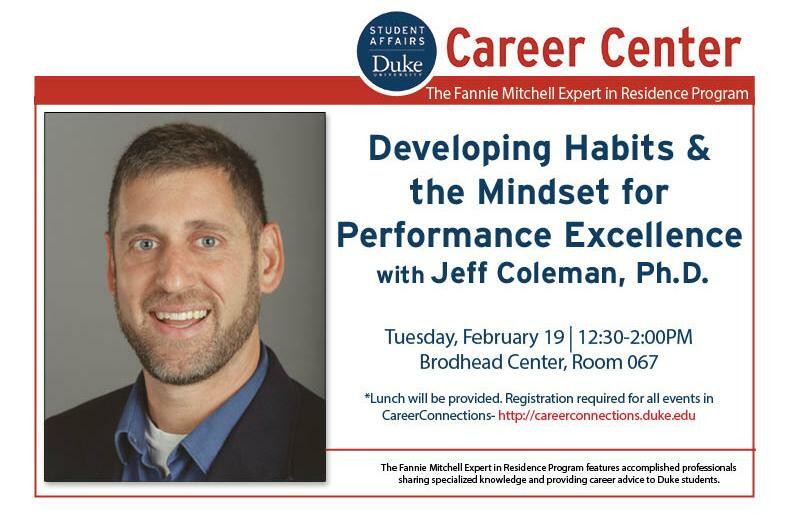 Dr. Jeff Coleman, Owner of Coleman Performance Group, LLC, is a certified Mental Performance Consultant with over 20 years of experience guiding individuals and groups to greater wellness, academic success, and performance excellence. His passion lies in not only helping individuals overcome obstacles, but also realizing their full potential in whatever career path they may choose. He holds a B.A. in Psychology, an M.Ed. in Kinesiology, and a Ph.D. in Educational Psychology.